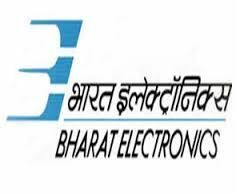 BEL Jobs Recruitment Notification 2018.Bharat Electronics Limited, BEL inviting applications for the positions of Probationary Engineer.Interested and Eligible candidates can apply for the positions. Qualification: M.Tech in Computer Science/Information Security/Cyber Security, with prior degree of M.Sc (Maths) Or M.Tech in Computational Mathematics/M.Tech in Mathematics and Computing. Bharat Electronics Limited, Jalahalli Post, Bangalore - 560013, so as to reach by 01.08.2018.
this regard will be entertained. Only Indian nationals need apply.